On his fifth deployment to Afghanistan in 2012, Army Maj. Mike Kelvington met Hamayon Yaqobi, the Afghan man who would serve as the decorated combat veteran’s translator and cultural adviser, a critical role for Kelvington and his unit. For seven months, the two men spent almost every day together. Yaqobi’s assistance often meant the difference between arriving safely at a destination or “walking down the path and there being a pressure plate IED roadside bomb,” Kelvington told Government Executive. “Hamayon's service to the U.S. government as a linguist was absolutely paramount to my ability to accomplish my mission,” Kelvington said. But Yaqobi’s work also made him a target, which is why Kelvington wrote Yaqobi a letter of recommendation to help him resettle in the United States through a Special Immigrant Visa program Congress authorized for foreigners who have provided essential support to U.S. personnel in Iraq and Afghanistan. Now, however, amid contentious budget negotiations in Congress, the Afghan SIV program is on the verge of falling through the cracks, throwing into limbo potentially thousands of Afghan nationals who have risked their lives to support the American mission there in exchange for a chance at eventual resettlement in the United States. Yaqobi was among the fortunate. In 2016, after several years of working as a military translator, he was able to resettle in Ohio through the SIV program. But thousands of others face diminishing odds of eventual admittance to the United States at a time when even the mere association with Americans in Afghanistan is a liability. First authorized in 2009 for Afghans, the SIV program provides a certain number of visas each year for Iraqis and Afghans who have worked for at least two years on behalf of the U.S. government, passed rigorous background checks, and find themselves in danger as a result of their service. While the Iraqi SIV program is in the process of drawing down, with its last visas issued in 2014, the Afghan component remains critical to the military’s ability to retain reliable, trustworthy translators on the battlefield there. But the program is in peril: Congress failed to authorize additional visas for the Afghan SIV program during this summer’s budget negotiations, and the allotted slots remaining for Afghans are inadequate to support everyone who applies. Compared to other immigration programs, the Afghan SIV program is small in scope. The number of visas allocated annually for applicants started at 1,500 in fiscal 2009 and peaked at 4,000 in 2015. (Another, smaller SIV program allots 50 visas per year, and requires a higher barrier to entry: a letter of recommendation from a flag officer or chief of mission.) The 2018 National Defense Authorization Act allocated 3,500 SIVs, bringing to 18,500 the number of SIVs issued to Afghans since 2014. While 15,497 of those SIVs have already been issued, another 4,400 applications are pending, well over the number currently authorized. Since 2009, Congress has primarily used the Defense Authorization Act as the legislative vehicle for reauthorizing SIV. But Congress failed to include the provision allocating additional visas for Afghans in the 2019 NDAA, which President Trump signed into law in August. According to Betsy Fisher, the policy director at the International Refugee Assistance Project, a refugee advocacy group, budget constraints were to blame for the program’s omission in this year’s NDAA. In its statement on the fiscal 2019 Defense Authorization Act, the Trump administration said it was “disappointed the bill does not include the administration’s request for 4,000 additional Afghan SIVs in [fiscal] 2019,” and noted that without additional visas, the administration won’t be able to address the backlog of about 16,700 currently eligible individuals, a number that includes applicants’ family members. 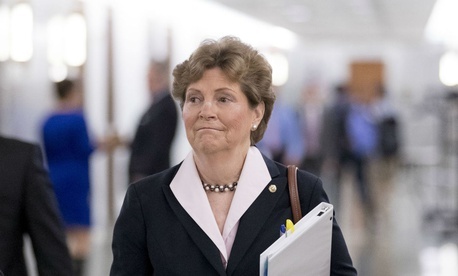 Whether Shaheen and Grassley will succeed is unclear. Congress passed a continuing resolution to fund State (along with other unfunded agencies) through Dec. 7. Neither chamber voted on the funding bill before Congress adjourned for the midterm elections, and lawmakers will have less than a month to hammer out an agreement on a final bill once they reconvene in mid-November, during what is likely to be a very contentious session. This failure to authorize additional Afghan SIVs comes as processing times for visas have slowed and refugee arrivals in the United States have plummeted. A review of 2018 SIV admissions data from the State Department Bureau of Population, Refugees and Migration shows that only 2,410 applicants arrived in the United States this year, down from 4,750 in 2017. Fisher attributed this decline in SIV admissions to a bureaucratic impasse within the FBI, which processes background checks for SIV applications. The SIV program was designed to ensure that vetted Afghans who took great personal risk to support American troops could be admitted to the United States in a timely manner, but a review of State Department data shows that the average wait time for a visa went from 480 days in April 2017 to 700 days in April 2018, an increase of nearly 46 percent. Seventeen years after American troops first entered Afghanistan, 15,000 U.S. troops remain deployed there in a continuing war against the Taliban and Al Qaeda-affiliates. The need remains for interpreters, as well as a process for eventually resettling many of them in the United States. Gil Barndollar served two tours of duty in Afghanistan, working closely with Afghan translators, and now works as the Director of Middle East Studies for the Center for the National Interest. The United States owes translators more than pay for their service, he said. Nicholas Wu is a policy analysis and data visualization fellow at National Journal.